A few years ago, several publications reported the discovery of a rare English Bible called The “She” Bible. This version of the Bible is called The “She” Bible because of a supposed error found in the translation of Ruth 3:15. You can read the news report here and here. I am citing only two stories because all the other stories are reported with the same information. London – Vicars who found a dusty Bible in their village church were stunned to find it is worth a fortune – as it contains a rare 400-year-old spelling mistake. It is one of a handful of the original King James Bibles, printed in 1611, in which a line in the Book of Ruth mistakenly reads “She went into the city” instead of “He”. Volumes with the error are known as the Great She Bibles and can be worth up to £250 000 (about R4.5-million). The latest copy – only the sixth known in the UK – was found in a cupboard at the back of St Mary’s Parish Church in Gisburn, Lancashire, by the Reverends Anderson Jeremiah and Alexander Baker. Its historical significance had not been noticed, so it had been stored in a cupboard at the back of the church. Mr Baker said: “It was a really exciting thing to discover – it looks just like something out of Harry Potter. “One of the wonderful things about worshipping in a church as old as ours is the sense of history that oozes from its walls and discovering the treasures it has to offer. But we were stunned to discover a treasure as rare as this. St Mary’s Bible has been assessed and authenticated by the Blackburn-based Antiquarian Booksellers’ Association and went on display at the church on Sunday. It is called a Great She Bible because Chapter 3, Verse 15 of the Book of Ruth in the Old Testament refers to Boaz, a man, as “she”. The other Great She Bibles are at Oxford and Cambridge universities, and at Salisbury, Exeter and Durham cathedrals. In my book Rereading the Biblical Text: Searching for Meaning and Understanding I devote a whole chapter to explain the problem of Ruth 3:15. In my study of the passage in Ruth, I show that several translations of the Bible use “she” instead of “he” and then explain why these translations differ on who went into the city. That night, after Boaz finished eating, he came to the threshing floor and went to sleep. Ruth slept by his side. In the middle of the night, Boaz awoke and realized that Ruth was by his side. He told her to stay there with him until morning. In the morning, Boaz gave Ruth six measures of barley and then someone went back to the city. But, who went back to the city? It depends on what translation you read. “And [Boaz] said, `Bring the mantle you are wearing and hold it out.’ So she held it, and he measured out six measures of barley, and laid it upon her; then she went into the city” (Ruth 3:15 RSV, emphasis mine). “Then [Boaz] said, `Bring the cloak you are wearing and hold it out.’ So she held it, and he measured out six measures of barley, and put it on her back; then he went into the city” (Ruth 3:15 NRSV, emphasis mine). The Bible in Basic English, Complete Jewish Bible, Douay-Rheims, English Standard Version, Geneva Bible, Holman Christian Standard Bible, Jewish Publication Society, Tanakh, King James Version, New American Standard Bible, New Jerusalem Bible, New King James Version, and the Webster Bible. American Standard Version, Complete Jewish Bible, Darby Bible, English Revised Version, God’s Word for the Nation, NET Bible, New American Bible, New American Standard Bible,New International Version, New Living Translation, Today’s NIV, and the Young’s Literal Translation. Why such a discrepancy? Why do the versions differ on their translation? The reason is that several Hebrew manuscripts have the masculine form of the verb, “he went back to the city,” while many other manuscripts have the feminine form of the verb, “she went back the city.” In addition, the feminine reading is supported by the Syriac version and by the Vulgate. 15 And [Boaz] said, “Bring the mantle you are wearing and hold it out.” So she held it, and he measured out six measures of barley, and laid it upon her; then she went into the city. 16 And when she came to her mother-in-law . . . (Ruth 3:15-16 RSV). Thus, it seems that it was Ruth who returned back to the city. Thus, it seems that The “She” Bible is not a rare Bible after all because the correct interpretation of Ruth 3:15 shows that the “she” reading is the correct context of what happened at the threshing floor that night. In addition, The “She” Bible is not a rare Bible because there are many “She” Bibles available on the market today. 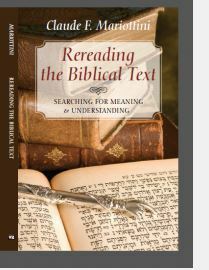 Rereading the Biblical Text: Searching for Meaning and Understanding deals with problems scholars face in translating Hebrew words and sentences into contemporary English. Modern readers have many choices when selecting a translation of the Bible for personal use. Translators seek to convey to today’s readers the message the biblical writers tried to communicate to their original readers. At times, however, what the original authors tried to convey to their audience was not clear. Claude Mariottini has selected several difficult passages from the Old Testament and compared how different translations have dealt with these difficult texts. Pastors, seminary students, and serious students of the Bible will be challenged to reread the biblical text and understand the message of the biblical writers in a new perspective. You can buy my book at Amazon.com. This entry was posted in Book of Ruth, Hebrew Bible, Old Testament, Translation Problems and tagged Ruth, She Bible, Translation Problems. Bookmark the permalink. 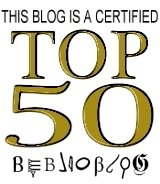 Alex, We would love to see your great articles on http://www.CollectiveFaith.com. 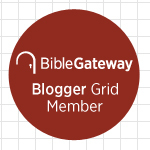 Please join and share with our Christian Social Network. I am not Alex. If you want to see my articles in your site, send me an email with details.